If you haven’t seen the news lately, you’re probably wondering what in the world I’m talking about. What drought in India? Close to 330 million people are affected by the worst drought in recent history that has hit India. Consider the most populated country in the world, and all of their struggles for clean water and sanitation. Then add a massive drought on top of that, and it all gets escalated very quickly. So what do we, on the other side of the world, do to help those in India? We can’t make it rain, after all. There is a massive Red Cross effort to get water overseas to India. Whether that comes in the form of bottled water, massive tanks of water, and water filtration systems, sending anything you can, or donating to programs that get it to people who need it, is one of the best bets. Getting water over there can make the difference between living and dying, really. On top of the drought, India is experiencing a massive heat streak, and people are dying everyday of heat exposure. Donating to programs and donating goods can go a long way. Before reading this article, did you know anything about this drought in India? Most people don’t because it hasn’t been featured on mainstream media. Get the word out, and don’t be afraid to try and raise awareness (and maybe even funds) in your community. Awareness is half the battle, so make sure people are aware. Take a moment to consider why the worst drought is hitting India right now. Many people think it’s just a freak accident, but many scientists are saying this is one of the first signs that climate change is real and is going to affect populations all over the world. 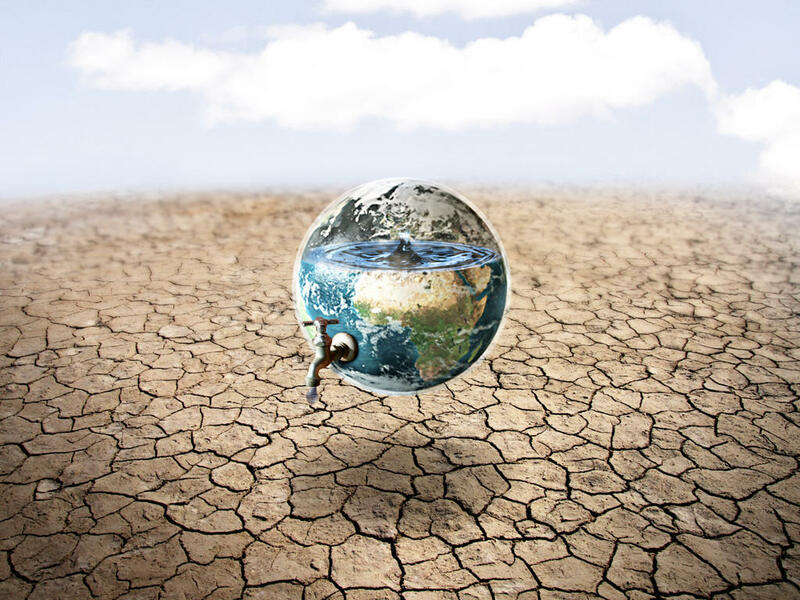 While water is an imminent need in India, reversing the damage caused by climate change is essential to prevent this from happening again in other places all over the world. Within a decade, it’s expected that people all over the world will experience the same struggles due to lack of water. Half the problem with situations like the one in India is that not everyone knows about them and therefore nothing changes. How can you change something you don’t know is going wrong? This is why it’s so important to stay educated, stay up to date, and to make sure that you share what you’re seeing with other people. Don’t rely on the mass media to send out messages like this; it freaks people out and scared people are bad for business. But without a little fear, without a little awareness, we’ll find ourselves stuck in our own drought with no way to fix it. To donate to people in India, there are a ton of websites and programs out there, but your best bet is looking at UNICEF and WHO. They have the largest reach and your money will go far.